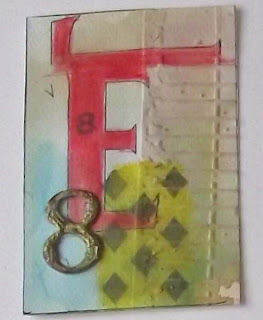 Hello and welcome to my crafty blog. 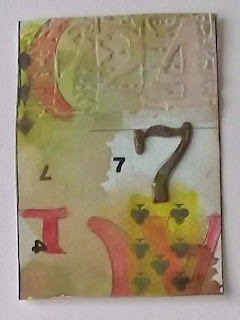 Today I am posting my new set of ATCS for the April challenge with my Facebook ATC swap buddies. 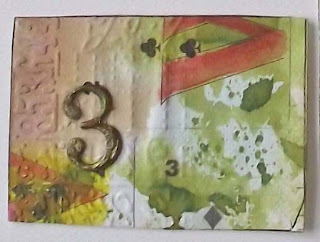 Still working with a 'Art Journalling' style, I choose a another bit of mixed media for this set. The background is a scanned image of several playing cards selected at random and printed onto watercolour paper. Using watercolour pencils I blocked out the partial lettering in red on each ATC to create a contrast and I then used some distress inks and water spritzer to add theremaining colour. 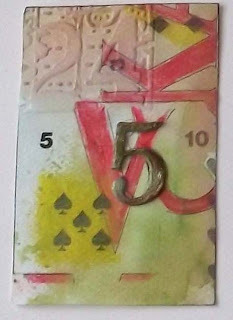 I embossed each ATC with a corner of the Tim Holtz 'College and Notebook' embossing folder to emphasise the number theme and rubbed over the impression with some Tattered Rose distress ink. The numbers were inked with Tumbled Glass ink and when dry I rubbed some dark brown Versa Color ink in places to create a rusty effect. 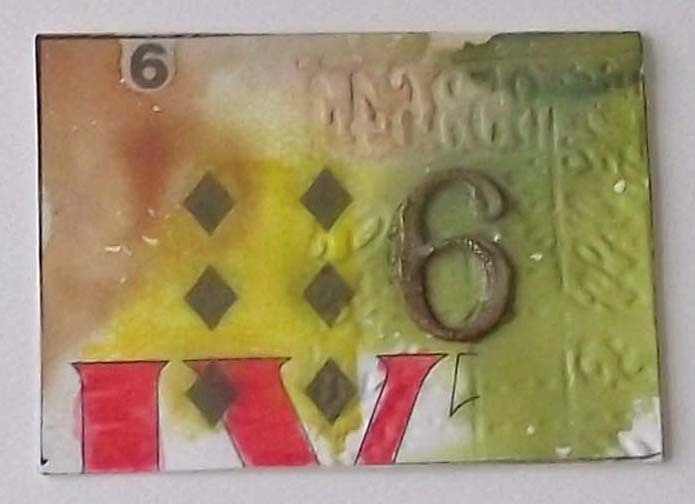 I finished the number with a coating of Crackle Accents to give more texture. I need to finish the ATCs with a numbers related quotes and then they're off to the ATC sorting office LOL. 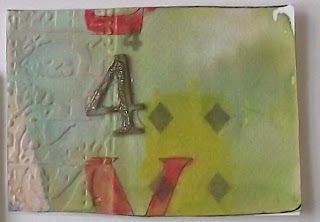 Thanks for stopping by to visit and read my blog. You time and comments are appreciated and I am looking forward to hearing from you.